Does your sludge handling operation require a booster shot? Double-digit figures of the operational costs of wastewater plants but also some industries are in sludge disposal. By using the correct chemistry in combination with smart process management technologies, significant cost-efficiencies can be achieved. “Recently, we have been working on developing smart digital solutions for sludge dewatering,” says Monika Epenstein, Marketing Manager at Kemira. 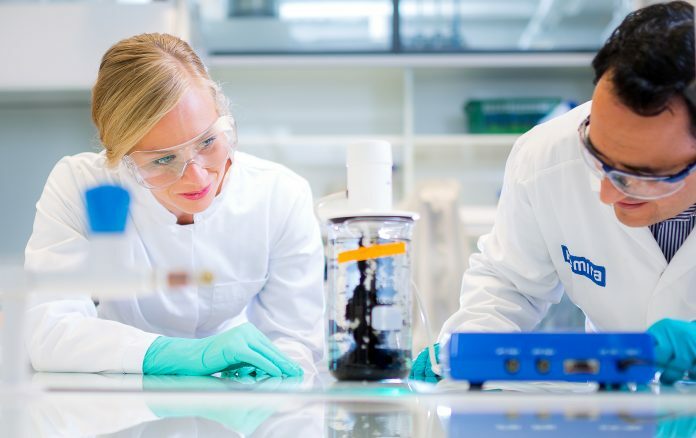 “By using a combination of measurement equipment, our different chemistries and the KemConnect™ platform for smart process management, we can optimise performance and follow customer KPI’s in real-time.” This kind of smart chemical treatment of sludge enables automation and on-demand precision in chemical consumption, removing guesswork even when the input sludge properties vary over time. Village Creek Wastewater Treatment is one of our many customers we have been able help with sludge challenges. The wastewater treatment plant in Arlington, Texas, started to suffer from deteriorating dewatering performance. Cake solids were wetter and smellier than before, which led to increased hauling costs and complaints by the local residents. Additionally, struvite started to build up on in the sludge grinders and on the belt filter presses, increasing the maintenance costs. Kemira introduced the correct chemistries and utilised some KemConnect™ smart process management real-time monitoring and optimization technologies to improve the process. • Cost savings: 10 percent, plus additional savings from hauling, struvite clean-outs, wasted polymer from overdosing, disposal and odor fines. Wish to get in touch to discuss more? Drop us a line at water@kemira.com.